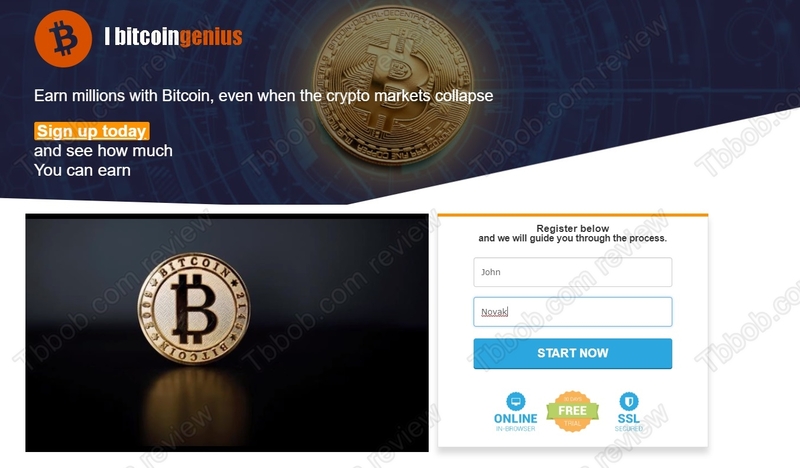 In this review we explain that I Bitcoin Genius is a scam that was designed to lose your money. I Bitcoin Genius is a program that allegedly can make you money in bitcoin trading. Its presentation claims that it doesn’t matter whether the price climbs or falls, because the software can profit from both. I Bitcoin Genius is a free software that promises to make you money on autopilot. Does it sound strange? Of course, that it sounds strange, there is no free software that will make you money on autopilot. Should they exist, nobody would be working, and the economy would collapse. That’s just common sense. I Bitcoin Genius is just another scam that abuses cryptocurrencies to take money away from you. The most tangible proof that I Bitcoin Genius is a scam is in the video testimonials. They are totally fake. As you can see on our picture, they were shot with paid actors. These people are not real users of the system, they are just lying in front of the camera for money. Another proof that I Bitcoin Genius is a scam is in the trading software. The trading app can be seen in the video and we immediately recognized a scam solution. We have seen this software with many scams, like Gates Way, Quantum Trader and Auto Bitcoin Generator. Check our picture to see the proof. The basic principle of I Bitcoin Genius is pretty simple. They want you to believe that they can make you money, because they need to persuade you to deposit money with a certain unregulated broker that is cooperating with them. So, right after registering you will be told you have to deposit at least $250 with a broker of their choice. If you deposit, they will get paid by the broker for referring you and you will never see your money again. The trading software will lose you everything. I Bitcoin Genius is a total scam that wants you to lose money with a crappy software and an unregulated broker. Stay away from it! If you want to make money in cryptocurrencies trading, start learning on a free demo with a regulated broker. You will have to build a proper strategy and an understanding of the risks before investing real money.